onya Kamara, 54, seems to have the weight of the world on her shoulders. 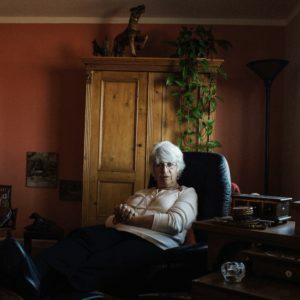 She lives in a one-bedroom apartment in Southeast Washington, DC, with her one-year-old grandson, Anthony, and her 26-year-old nephew, who is between jobs. Her two daughters also live with her—when they are not incarcerated. Anthony’s mother, April, age 32, and her 25-year-old sister, Latonya, both struggle with a history of mental health problems and drug addiction, which has led to cycles of crime and recidivism. 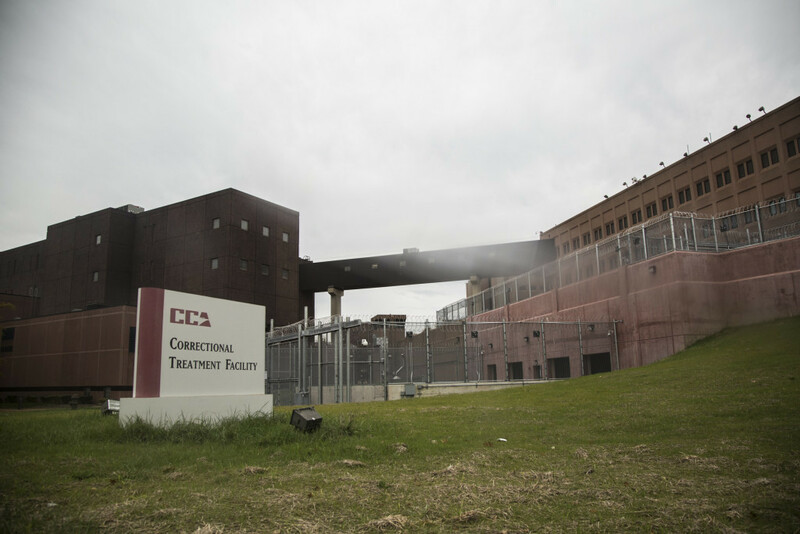 Last fall, April was at the Correctional Treatment Facility (CTF), DC’s jail where women are held while awaiting trial and serving time for misdemeanors. 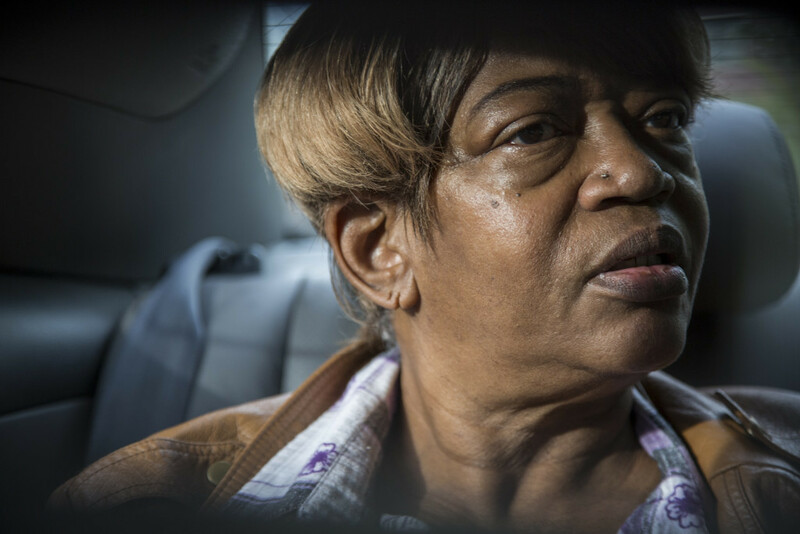 The jail is just three miles from where Tonya Kamara lives, but arranging a visit was still daunting for her, a retired woman who is the primary caregiver to a toddler. She also has a son who is serving a life sentence in the federal system because the District of Columbia does not have a state facility designated to house its prisoners. The possibility of ever visiting her son is slim to none. She had a big enough challenge visiting April at the CTF while helping her younger daughter rebuild her life. “My children are grown,” Tonya Kamara says, “but here I am trying to take care of my grandson now. I don’t want him in the street and I definitely don’t want him in the system.” Her strength and faith are evident. She longs to see her daughters healthy and whole. She longs for peace in her life. s a formerly incarcerated woman who served 18 years in prison, I know firsthand how important family visits can be. When I went to prison my children were three years old and 10 months old. By the time I was released they were 19 and 21. My family took on the responsibility of raising my children; financially and emotionally this was a huge burden. Being able to participate in visitation allowed me to maintain some semblance of a bond with my children. I remember being in the visiting room when my son asked me what crime I had been convicted of. I could see this was something he was struggling with. He wanted to ask me face-to-face. I was grateful to be able to have that conversation with my son because he deserved to hear the truth straight from me. Tonya Kamara is driven back home after visiting her daughter April last fall at the jail. After the visit, Kamara was distraught about her daughter’s behavior. April has a history of mental health problems and drug addiction, and is often verbally and physically abusive. 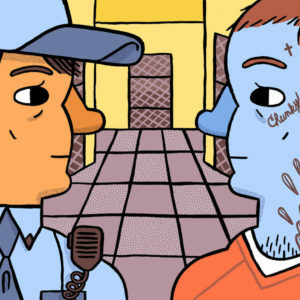 I spent my first seven months at DC Jail [the Central Detention Facility] awaiting trial. At the time, the early 1990s, I was able to participate in noncontact visits. I met with my loved ones in a visiting room with very thick glass separating us. We spoke through a telephone. Then, while at CTF for the next five years, I received contact visits every two to three months. My children were young and even though I was in Southeast DC, literally right around the corner from some of my family members, facilitating visitation was an added hardship. Traveling with toddlers is difficult and carving out time to visit a loved one in prison while attending to the daily needs of children is a burden for caregivers. Some simply cannot afford the cost of transportation when loved ones are in local jails, let alone when family members are incarcerated hundreds of miles from home. In 1998 I was sent into the federal system. It was a better environment for me to serve such a lengthy sentence, but visits became more infrequent. I was in Danbury, Connecticut, eight hours from home by car. I saw my children only once a year. Friends I met in jail who had since been released often became the liaisons who helped facilitate my visits with my children. If it were not for some of the women who served time alongside me, I might have seen my children even less often. Being able to see them at all throughout my incarceration made a world of difference. I can’t imagine how much more difficult it would be without even those inconsistent visits. oday, I am one of the founding members of a nonprofit called The W.I.R.E.—Women Involved in Reentry Efforts. I met April while conducting a reentry workshop at CTF, and she told me about the difficulties her mother had arranging visits. I jumped at the opportunity to help the Kamara family with a visit because of my own personal experience. In Washington, DC, the city government operates the Central Detention Facility, also known as the DC Jail. The city also contracts with the Corrections Corporation of America, a nationwide private operator of prisons, jails, and detention centers, to operate the Correctional Treatment Facility, which primarily houses women and juvenile offenders. When a friend who is serving 30 years in Texas asked me to bring her 18-year-old son to visit her, I didn’t hesitate to get him there. 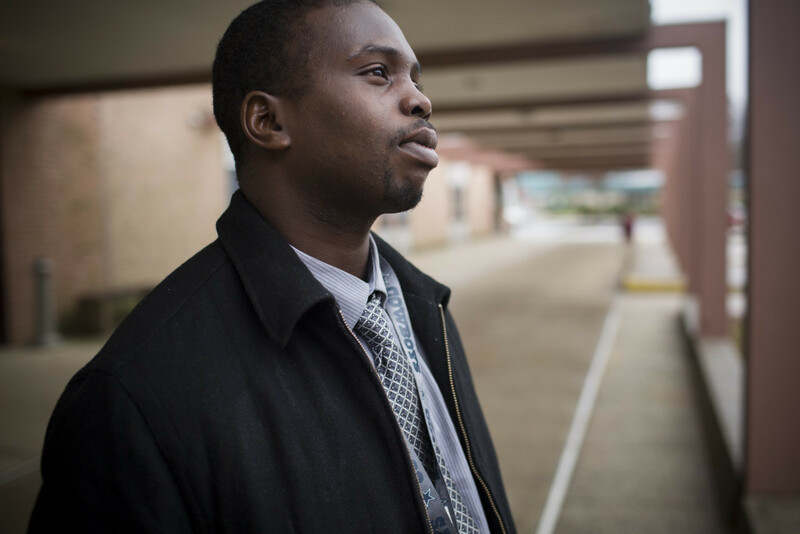 Donnell had not seen his mom in 10 years. He’s a good kid who has never been in trouble and recently graduated from high school. He was mourning and wanted to see his mom terribly. I understood what most people don’t: simply providing opportunities for visitation is not enough. Many women in prison need a person in the middle who can help facilitate a visit. Caregivers need support from concerned citizens who are willing to provide financial assistance, transportation, and/or chaperoning during visits. I firmly believe that those people who want to help improve visitation are the key to strengthening family ties with incarcerated women and their children. In 2012, when I learned that DC Jail was eliminating noncontact visits and replacing them with video visitation, I thought the community would be outraged. “There’s no way the community will allow that to happen,” I thought. I was wrong; the video visitation program was implemented. The goal was to save money and make visits safer by reducing the amount of contraband inmates receive from visitors. I was astonished. Not only are face-to-face visits important for incarcerated people, but children with incarcerated parents often suffer from depression, display behavioral problems, and end up abusing drugs and in prison themselves. Providing an opportunity for young children to visit with their parents will help them cope with the impact of the separation, and video is certainly not enough. 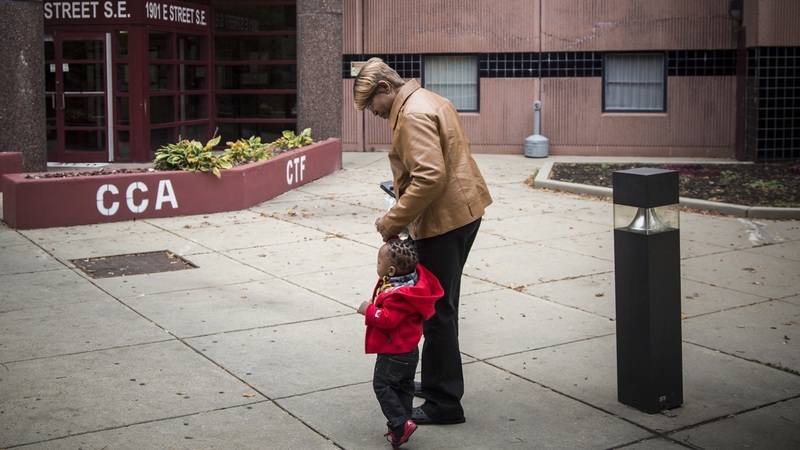 Tonya Kamara, 54, and her grandson Antonio, age 1, walk to the entrance of the Correctional Treatment Facility in Washington, DC, to visit April, Tonya’s daughter and Antonio’s mother. Antonio, who was up well past his bedtime, fell asleep after visiting his mother in jail last fall. He is carried into the house by Tonya Kamara’s 26-year-old nephew, who is living with her while he is between jobs. Tonya Kamara holds a photograph of her daughter April (center), who was incarcerated for drug-related offenses last fall at DC’s Correctional Treatment Facility. In her apartment in the Anacostia neighborhood, Tonya Kamara talks about how difficult it is for her to visit her daughter in jail. Tonya Kamara holds her grandson, Antonio, whom she has cared for since his mother was recently incarcerated. ail is not meant for no one,” says Molonte Herman Wooden, who was born in 1984, raised in Washington, DC, and has spent time in jail on multiple occasions. He has experienced facilities that allowed, at various times, contact visits, only noncontact visits, and only virtual video visits. Molonte Herman Wooden poses for a portrait. During contact visits, “I was able to communicate with my girlfriend without Plexiglas between us. There are rules you have to follow: you have to stay seated with your hands on top of a table; you can see the face of your visitor, make eye contact, smell their fragrance; and you can kiss them as they arrive and before they leave. In July of 2015, DC Mayor Muriel Bowser decided to reinstate noncontact visits for inmates, provided they first demonstrate 30 days without any infractions. aylar Nuevelle, 46, of Washington, DC, describes herself as “a mother, a survivor, a returning citizen, and a writer.” Nuevelle was incarcerated for four and a half years, including time spent in the DC Jail complex [the Central Detention Facility] and in federal prison. She now works part time as a benefits specialist at the DC Jail Advocacy Project of the city’s University Legal Services Protection and Advocacy Program. 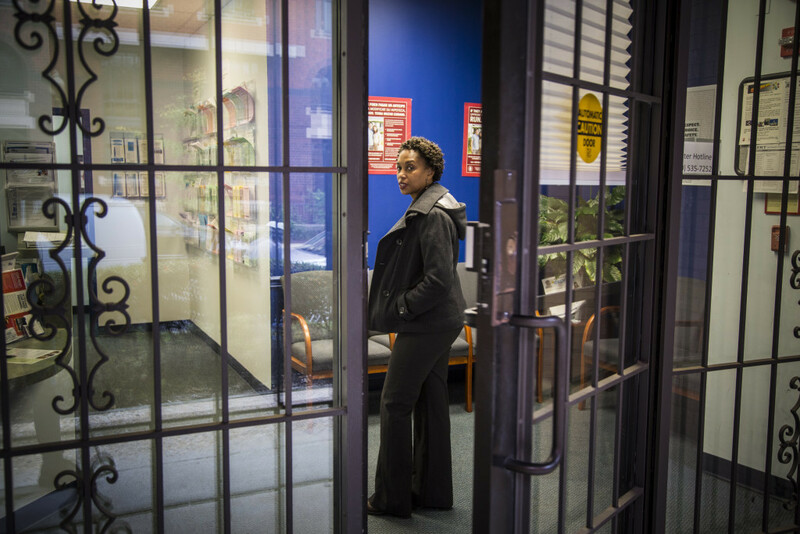 While in DC Jail, Nuevelle was allowed contact visits. “You can have a visitation with up to five adults a week. At that time I had a lot of support. I had a partner and many friends and relatives who would come to visit. You can sit at a table and share food. I could kiss my partner; I could hug her; I could hug my friends; I could hold hands with my friends throughout the visit. I lived for that once-a-week moment! “Then I got shipped to Northern Neck, and my partner traveled an hour to two hours to see me, and she had to visit me through Plexiglas. We would put our hands on the Plexiglas to feel…you know it warms up so you can feel the heat of that person; even that mattered to me! “I am very excited that the [DC Jail] is moving back to face-to-face, but I have my concerns that you have to earn it….I think the Mayor has set up a situation that looks good, but in fact when you read the fine print it’s just giving the officers the right to say ‘I can take that [visitation right] from you.’…I don’t think you will see an increase in these face-to-face visits. Interviews with Taylar Nuevelle and Molonte Herman Wooden were conducted by Gabriela Bulisova. 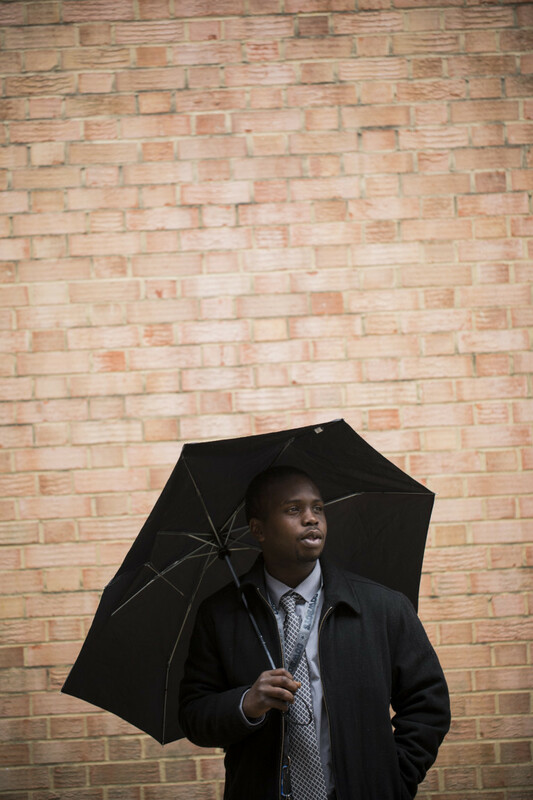 Gabriela Bulisova is a documentary photographer and multimedia artist based in Washington, DC. 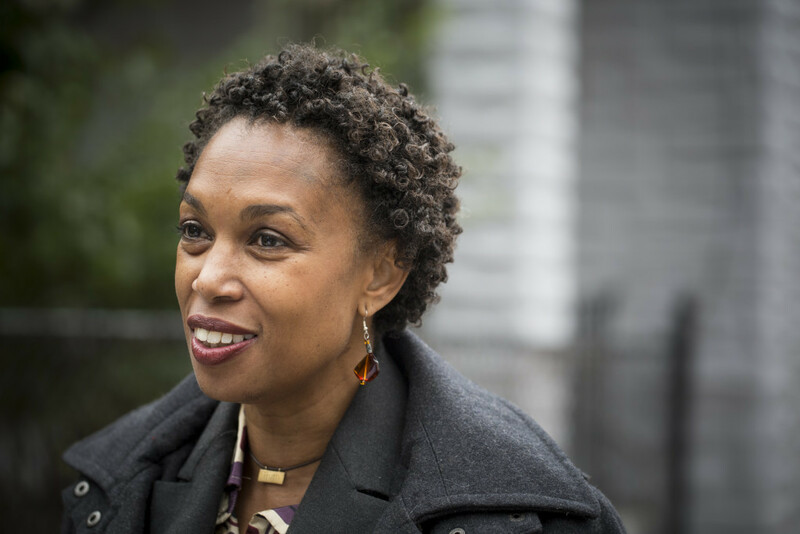 Over the past five years, she has focused on underreported and overlooked stories regarding incarceration and reentry, especially about the impact on families. Follow her at instagram.com/gabrielabulisova. 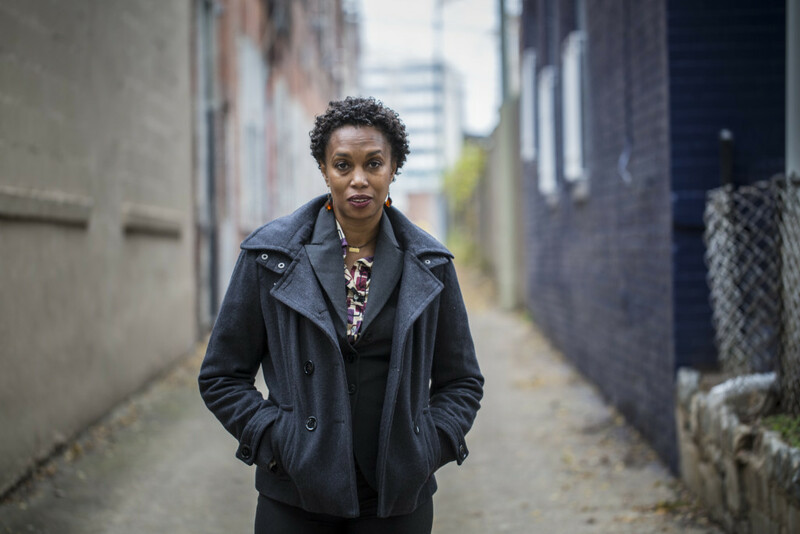 Lashonia Etheridge-Bey is a 42-year-old Washingtonian who was released from incarceration in 2011. She was sentenced to 20-60 years for a double homicide. She is currently employed as the female reentry coordinatory at the Mayor’s Office on Returning Citizen Affairs, where she supports women who are returning from incarceration. She is a senior at Trinity Washington University, where she is pursuing her bachelor’s degree in human relations.